Each week, more than 1 million people move from rural areas to cities around the world, placing huge demands on existing infrastructure—and especially on existing transport systems. Booming cities need contemporary mobility systems capable of transporting increasing numbers of people while doing the least possible harm to the natural environment. Multiple actors, including national and local governments, must work together to create environmentally and financially sustainable urban transport systems. Cities consume 60–70 percent of the world’s energy supply and emit 70–80 percent of total global carbon emissions. More than 50 percent of the world’s population lives in cities. Urban transport defines the access of these city dwellers to wealth and well-being. Countries with the highest rates of urbanization also have high rates of personal motorization, which in turn leads to more carbon emissions. This will continue to contribute to catastrophic climate change if cities do not develop more sustainable transportation options. Some countries have difficulty executing their national urban transport policies due to fragmented local authority, weak financial regulation, poor project decisions, and inadequate performance-evaluation criteria. Set and enforce an expansive, long-term vision for sustainable urban mobility at the national level. The national government should coordinate authority, organize power, and promote cooperation across the various tiers of government to achieve this vision. Augment local governments’ capacity to implement projects that further the overarching sustainable transport vision. At the national level, local mobility plans should be mandated to align with national transport goals, affirm local ownership of projects, and implement practices to improve the knowledge and motivation of staff on the ground. Establish clear funding and financing channels for transport systems. Governments should coordinate regional, local, and private contributions as well as federal financial-assistance programs. Improve project development and selection. The government should set concrete national standards around data collection and provide localities with methodology to evaluate project outcomes according to various performance indicators, including equity, safety, and environmental impacts. Generate comprehensive cost-benefit analyses at the local level for proposed projects. These analyses should address social, environmental, and economic issues relevant to the local context and include specific, confirmed funding sources for all projects and initiatives. In 2010, the world experienced a great transition—more than 50 percent of people lived in cities for the first time in human history. Each week, more than 1 million rural residents, or two times the population of The Hague, move to cities around the globe. Over the next four decades, billions of people will continue to migrate to urban areas until more than 75 percent of the global population lives in cities. Each week, 1 million rural residents move to cities around the globe. This alone highlights the compelling need to identify new sources and types of innovative financing, from both domestic and international financial institutions, to underwrite such a historic migration. More importantly, it calls for policies to guide development so as to promote sustainability and equity. The resource needs and resulting economic output of cities are tremendous. Cities already account for 66 percent of total world energy use—a share that may increase to 80 percent within the next thirty years. In the United States, cities represent over 70 percent of direct energy use and generate over 75 percent of gross domestic product (GDP). Productivity, and in turn energy demand, is concentrated in urban areas worldwide. Cities generate 80 percent of today’s global GDP.3 And because economic activity is closely linked to energy consumption and thus carbon output, cities represent 70 to 80 percent of the world’s greenhouse gas emissions. To take advantage of their economic potential and minimize their environmental harm globally, cities must be managed intelligently. Historically, cities were created for mutual defense as well as for market exchange. Transportation was by foot or oxcart, so trade required the dense clustering of populations. However, as regional and national states came into existence and took over the job of civil defense, cities grew organically, though they were still limited in scale. Then came the Industrial Revolution, and soon transportation included canals, steamboats, rail, transit, and, finally, private motorized transport. National policy in urban development, which became more common in this era of industrialization, took the form of managing land use and waste and building some infrastructure to protect the public from potentially toxic industrial activities. It also worked to secure people’s basic needs, such as access to clean water. Cities represent 70 to 80 percent of the world’s greenhouse gas emissions. As fossil fuel engines took over the job of moving people and goods, cities spread out across the landscape. Sprawl—a type of growth first observed in the United States that uses the private car as the primary determinant of wholesale land use and transportation needs—is a direct result of national policies that subsidize single-family-home housing, manage land poorly, and prioritize highways over other types of transportation. The practices in planning that led to sprawl have become standard in the United States, and aspects of such policy, such as designing highways to solve urban congestion problems instead of planning for alternative mobility systems, have become the norm worldwide. Sprawl has created long-standing problems in terms of human health, economic development, the natural environment, and climate change on a national basis. The social and environmental costs, such as public health expenditures on obesity, respiratory illness, and other ailments associated with auto-centric planning, have exceeded the available resources of individual cities. These new challenges have transformed urban growth and development from a concern of cities alone to an issue of vital importance to national governments. National governments face a number of common challenges in the development of their primary centers of economic growth and their primary vehicles for promoting their citizens’ common aspirations for a better quality of life—their cities. Development that is sustainable in that it safeguards long-term economic, environmental, and social priorities is paramount to realizing these aspirations given the pressures that arise from rapid urban growth. Burgeoning cities need sustainable mobility systems now, and the opportunity to build infrastructure should not be at odds with the opportunity to guarantee continued prosperity. Sprawl is a direct result of national policies that subsidize single-familyhome housing, manage land poorly, and prioritize highways over other types of transportation. There are four primary areas of concern for sustainable urban transport policy: strengthening national leadership and reinforcing sustainable outcomes, empowering localities, using funding and financing structures to guide local action, and maximizing the project-development process to ensure successful execution of urban-transport efforts. These core concerns emerged from discussions with policymakers in large countries confronting the task of constructing sustainable transport for the booming urban populations that have resulted from rapid industrialization and economic growth. But nation-city partnerships have historically struggled to achieve common goals. There is no single set of national urban transport policies that, if rigorously studied, broadly adopted, and effectively applied, guarantees a successful result. It is possible, however, to examine lessons learned from such nation-city partnerships around the world. Taken in sum, stories from more mature economies dominate because they have the most attempts, mistakes, and lessons learned (though that is not to suggest that solutions cannot be found elsewhere). How well a country manages its cities will determine its global competitiveness, especially for cities that are experiencing urban population growth from industrialization. Pressure from today’s growth raises the stakes. Over the last few decades, increasing numbers of rural workers have migrated en masse to urban agglomerations to seek economic opportunities and basic services. Greater Mumbai alone almost doubled in population in ten years. In 2001, the population was only 12,877,470. In 2011, it swelled to 21,753,486,4 an unanticipated boom. How well a country manages its cities will determine its global competitiveness. Urban areas across the globe have expanded in relation to overall population growth. In China, where total GDP is among the highest in the world, the urban population’s annual growth rate is 2.3 percent, more than four times the national annual growth rate of the total population. In India, the annual growth rate of the urban population is double that of the national growth rate of the total population. The urban population boom is highest in countries like China and India,5 where existing cities have the fastest-growing populations and where there will be the greatest number of new cities with more than 750,000 inhabitants by 2050.6 For Brazil, Mexico, and the United States, the urban population is already a clear majority of the population. The Brazilian population is 87 percent urban. In Mexico, this figure is 78 percent, and in the United States it is 82 percent. Though urban workers contribute significantly to their country’s economic success, swiftly growing urban populations can overwhelm existing infrastructure and services, especially transport systems. To get to work and school, and to access other services, urban dwellers need to be able to easily traverse the city and get wherever they need to go. Passenger cars and light-duty trucks have been the greatest sources of transport-related carbon in the world for the last two decades. Escalating demand for private cars in particular contributes to increasing amounts of transport-related carbon. A complex regime of culture, business interests, and policies reinforces the preference for private cars and, distressingly, it is common for urban transport policy worldwide to be hindered by policies that work at cross-purposes. Rapid motorization, noted by the rise of car ownership and the increase in distances traveled by car, especially in developing countries, can result from rising levels of income, national economic-growth strategies rooted in auto manufacturing,8 the entrenched social perception of the private car as a status symbol, or the failure of cities to provide viable alternatives to personal motorization.9 As each country’s economy develops, increases in per capita income make personal motorization possible for more urban households. Based on the experience of the United States, all this encourages national investment in infrastructure that supports car use, such as fuel-supply systems (gas stations) and car-priority street designs like wider streets, narrower sidewalks, and more on-street parking and parking lots. And when cities do not provide effective public transit or safe spaces to walk or bike, urban dwellers increasingly turn to cars, the most energy-consuming form of transportation. This pattern is now appearing in China, Brazil, Mexico, and other large countries that have available land and new development opportunities. In Brazil, the Ministry of Finance heavily supports auto manufacturing and road infrastructure in order to create jobs and spur economic growth. A similar policy exists in China, yet both countries also have national policies espousing sustainable transport. Countries that have not yet reached this level of car ownership have an opportunity to reduce the demand for cars by providing other types of transportation infrastructure. When cities do not provide effective public transit or safe spaces to walk or bike, urban dwellers increasingly turn to cars, the most energy-consuming form of transportation. Developing countries in which the automobile becomes the preferred mode of transport risk adopting the American pattern of carbon waste. Until recently, the United States was the largest emitter of carbon per capita, and 31 percent of carbon emissions is directly correlated to the nation’s auto-dependent transport system.12 It continues to be the greatest emitter of on-road, transportation-related carbon.13 To avoid catastrophic climate change, cities worldwide must pursue a different and more sustainable path of transportation development. This approach differs from business-as-usual transportation planning that tends to focus on road-capacity expansion and maximizing the distance and speed of vehicle movement. To manage growing urban populations and maintain economic growth, urban transport systems need to be sustainable and offer multiple ways of moving about a city, not just facilitate the flow of traffic. A three-part strategy can help ensure a sustainable approach to urban mobility. The first priority of this approach entails avoiding carbon-intensive mobility systems, such as private-vehicle use. Shifting to multimodal systems, such as public transport, walking, and biking, constitutes the second priority, while the third involves improving existing infrastructure, vehicle technology, and fuels. To avoid catastrophic climate change, cities worldwide must pursue a different and more sustainable path of transportation development. This strategic approach enhances performance by targeting both the supply of and demand for transport. It allows cities to build on existing infrastructure and offers them more mobility options when selecting specific technology in which to invest. Mobility systems do not just ensure access to opportunities and basic services for urban citizens; they also have the potential to meet long-term national and global concerns of economic growth, environmental protection, and prosperity. Any such framework, however, requires strong, cooperative governance from the locality and the national government. The urgent need to integrate sustainability concerns into the management of cities creates room for a higher level of government to instigate the shift. In fact, fulfilling goals across all localities necessitates strong national leadership and clear guidance toward a more sustainable, inclusive, and prosperous urban future. Such leadership can create a clear framework for local governance and a clear charter for nation-municipality (and state-municipality) relationships. While urban areas with relatively more wealth can lead the pack, as a whole, cities cannot construct sustainable transport systems alone. Creating these systems requires the simultaneous cooperation, construction, and funds of multiple actors, including the national government. Such an endeavor demands significant resources and coordination. For instance, municipal budgets may lack adequate funds for multiyear infrastructure investments and need assistance from national budget allocations or other outside sources. A position of authority higher than the city level may also be needed to compel cooperation between local agencies or help maintain a focus on broader economic, environmental, and social goals. Higher-level involvement can also prevent projects in specific situations from being driven by purely parochial interests that could potentially keep them from achieving the goal of sustainability. Fulfilling sustainability outcomes in cities demands national as much as city leadership. National-level leadership is required to grow an economy that creates and maintains value and equitable growth for all members of society. National policy can protect the environment by encouraging economic growth with social benefits through intelligent management and protection of natural resources, both of which could also reduce conflict over resources between regions or localities. Further, safeguarding the well-being of both current and future generations requires national policy to set long-term goals and redistribute resources that would support or supplement local efforts to provide equal opportunity and ensure a generally good quality of life for populations. Without national policy to level the playing field, localities that pursue progressive sustainability policies could be negatively impacted by less sustainable policies in other localities,18 resulting in a net negative impact on the entire country. National-level governance can prevent those localities avoiding regulation from negatively affecting the rest of the country. Beyond preventing the flow of negative impacts from one locality to another, national policy can further encourage or reinforce positive local efforts. National policy can organize the hierarchy of power, set long-term objectives, and then supplement or support local efforts to ensure that sustainable transport goals are met. It augments the strength of cities because it can redistribute resources and supplement funding so all regions are supported appropriately to facilitate the best and most transparent system to implement sustainable transport. Newly minted national-level urban transport policies attest to the recognition by federal governments of the need for sustainable urban transport, but success varies widely across nations and between regions. Though national policy in each country takes different forms, Brazil, China, India, and Mexico are all grappling with the challenges of implementation at various stages of development (see table 2). Countries with long-standing national transportation policies, like the United States, would benefit from updated policy based on shifting demographics and the growth of on-road transport carbon, especially in the short term.19 Even the European Union (EU), which contains some of the most mature multimodal transportation systems, needs to rethink its regional cohesion goals and its supranational and national policy issues as they relate to the development of urban areas. Across the world, the transition from a rural to a majority-urban world requires cooperation in the management of urban growth that now exceeds anything yet experienced. Cities new and old have newfound pressures from billions of urban dwellers seeking to make a brighter future. Urban transport will define their access to wealth and well-being. Strong national-level governance is necessary to sustainably manage rapidly growing urban populations and global economic and environmental challenges. It is particularly necessary to prevent the construction of infrastructure that will become obsolete or incompatible with long-term economic and environmental concerns. To avoid locking in infrastructure in this way, a new policy approach to and a nation-city partnership for mobility systems are needed. Strong national-level governance is necessary to sustainably manage rapidly growing urban populations and global economic and environmental challenges. Governance structures inherently define authority. With multiple levels of governance, conflicts over power frequently arise. Nations with federal, state, and local tiers of government—such as Brazil, India, Mexico, and the United States—typically emphasize the state’s power over the city’s. In highly centralized countries, like China, complications arise when national structural policies hinder local growth (see table 3). There are hundreds of cities in most countries, plus a significant number of state or provincial governments, all of which have incongruent, locally contextualized desires. As these numbers continue to grow, the need for a clear organization of power and coordination becomes stronger. Coordination between levels of government can be tricky, especially for sustainability. Each tier of government has different outlooks on its priorities, made more arduous by the limitations on its ability to influence or define different areas of taxation, regulation, and development priorities. By clearly organizing power across these various levels, national governments could reduce friction at the local level to support local projects, especially on sustainable urban transport policies across multiple tiers, coordinate local desires, and balance long-term and short-term goals across the levels of government. The most significant role national governments can play is to set the vision for sustainable transportation from which the roles, responsibilities, outcomes, and priorities can flow. But more is needed. Setting up institutions and establishing governmental authority at the level that is best suited to provide a coordinated perspective across the entire urban transport system is critical to any national vision’s sustainability and, in turn, to the sustainability of the mobility network in its entirety. While national policy sets the broad context in which urban transport systems should be executed, national leadership can empower localities to translate and apply national regulations. Policy initiatives taken by the national government should work to empower local or regional authorities while providing clear conditions on the expected outcomes. National policy must work to organize roles and levels of authority, support regional planning, and engage multiple stakeholders in achieving a vision for sustainable urban transport from the outset. Cooperation at the national, regional, and local levels is critical to enforcing the foundation of national urban mobility policy—the vision. A few of the world’s largest countries—Brazil, India, and Mexico—have relatively new urban mobility laws that incorporate the three pillars of sustainability, but all have had difficulty executing and enforcing those laws. Weak local action and the slow deployment of funding plague implementation, but pressure to take action is mounting. Brazil must prepare for an inundation of visitors to the upcoming World Cup and subsequent Olympic Games. India’s urban migration outpaces the government’s ability to provide enough basic services. Mexico’s cities are burdened with air pollution as well as the basic need to provide adequate services for its millions of urban inhabitants (see table 4). “Lack of institutional capacity” is the most frequently cited culprit for the shortcomings of national governments’ ability to facilitate strong local action. Institutional capacity refers to weak processes, structures, and policies that lead to ineffective management or insufficient direction to create sustainable urban transport systems. To address this and build a strong institutional framework, effective management processes and structures must flow from a national vision for sustainable urban transport. A strong vision that is applied to urban contexts, as demonstrated by India’s recently developed National Urban Transport Policy (part of the Jawaharlal Nehru National Urban Renewal Mission), is intended to guide investment in an integrated fashion. Specifically geared toward achieving sustainable outcomes, the National Urban Transport Policy outlines a fundamental shift that clearly prioritizes moving people over moving vehicles. This policy articulates the change in priority by stating the centrality of “incorporating urban transportation as an important parameter at the urban planning stage rather than being a consequential requirement; encouraging integrated land use and transport planning; . . . bringing about a more equitable allocation of road space with people, rather than vehicles, as its main focus; . . . enabling the establishment of quality focused multi-modal public transport systems; . . . [and] reducing pollution levels through changes in traveling practices.”21 The language employed sets the broad parameters by which all of India’s urban-transport actors can respond appropriately. Of course, simply having a vision is not enough. The processes and structures at the national level must be coordinated and compatible with a sustainable vision. At a minimum, clear protocols guiding coordination between social, economic, and environmental ministries at the national level must exist. For instance, in Europe, transport issues are often addressed holistically with environment, energy, or other infrastructure issues under one ministry’s roof, and there is additional coordination with national land-use and natural-resources ministries. To overcome the challenge of multilevel, multi-agency coordination, many countries simply need to add capacity to institutions at the national level to carry out the vision. Moreover, though India has established ideal language for an effective policy, the highly fragmented nature of local urban management causes many of its urban mobility projects to languish. Thus, national policy must also organize and strengthen institutional authority at regional and local levels to further sustainability goals in urban transport. The British Parliament recognized the importance of institutionalizing input from a variety of sectors and levels of government and legislated a multi-sector, multi-stakeholder authority to manage London and its region. The Greater London Authority (GLA) coordinates counsel from different sectors across the 32 boroughs of London and the City of London Corporation to guarantee inclusion of different departments and long-term goals in decisionmaking. Through its multidisciplinary foundation, the GLA ensures that programs like London’s cycling infrastructure and Source London, the mayor’s strategic plan to increase the network of publicly accessible charge points for electric vehicles, are coordinated with land use so that charging stations can be sited where they will be of most use. Without the GLA, such coordination would most likely fall by the wayside as no single local authority would be responsible for coordinating the triad of land use, energy distribution, and environmental protection. A national vision that promotes a social goal related to mobility, such as one calling for no fatalities from transportation, provides a strong framework around which all actors can coalesce and compel cooperation or reduce conflicting viewpoints. Vision Zero, an innovative road-safety policy adopted by the Swedish Parliament in 1997, required an institutional restructuring that included all actors that in some way influence the design and function of the transportation system. The policy aimed to achieve a road network with zero traffic fatalities or life-threatening injuries,26 a departure from the conventional notion that some fatalities from traffic crashes are a reasonable price to pay for a functioning transport system. Vision Zero recognized the role of multiple sectors in influencing the transport system, thus demonstrating how policy can ameliorate potential conflict over who should be at fault. Vision Zero compelled cooperation among unlikely allies to achieve its goal. National agencies for natural resources, roads, and rail cooperated to examine their policies that touched transportation and create solutions resting on geographic specificities. For example, while fast intercity expressways employed soft barriers or removed trees to minimize the risk of fatality should crashes occur, urban areas looked to reduce private car use altogether given the constraints on land, the higher population density, and the fact that more vulnerable users, such as the elderly and children, are on the streets. Swedish trade unions, environmental groups, and road-safety organizations developed a ranking system for heavy freight transports to help businesses comply with higher safety standards.27 The system, known as Q3, ranks the working environment, environmental impacts, and road safety requirements of all heavy-goods transportation infrastructure. The new policy also involved the business community by imposing road-safety and environmental standards on the commercial procurement of transportation. Even if a business did not provide goods or services specific to transportation, all businesses that relied on the transport system were engaged in promoting the goal of no fatalities. National governments can bolster local efforts to implement sustainable urban transport in a variety of ways. They can create the environment and conditions through which local action can simultaneously fulfill a national vision and meet the demands of local context. National policy can set standards for and centralize knowledge, institute exchanges, and accelerate the dissemination of best practices. Fostering global exchanges of knowledge and creatively prioritizing sustainable modes of transportation are necessary steps to augment local capacity and guide funding and projects to the greatest benefit to society and the environment. The first step for national governments in connecting local projects to national goals is to mandate local planning. Not only does this generate a blueprint for executing urban mobility systems, it also creates the conditions under which local officials can cooperate. Making a local mobility plan a national requirement stimulates engagement in the planning process and reinforces the need for multiple parties and stakeholders to work together, creating a platform to discuss environmental, social, and economic outcomes. India’s experience provides insight into parameters for success in local planning. The country’s National Urban Transport Policy requires a Comprehensive Mobility Plan (CMP) for localities to receive funds from the federal government. This is similar to the practice in many Western European countries (notably France, Germany, Switzerland, the Netherlands, Spain, and the Scandinavian countries) that tie project funding to comprehensive, concrete plans. Yet, a recent assessment of India’s CMPs showed that simply mandating the planning was not enough.29 The CMPs that were developed did not reflect funding realities, making plans irrelevant. They did not engage the public, which meant they did not have adequate public support. And they were not developed in cooperation with regional or state plans, which carry more legal weight. The success of more comprehensive plans in France, which has one of the most thoughtful models of regional planning, supports the findings of the recent assessment of India’s plans. French plans include not just a project priority list but also an integration of land use; energy consumption; and environmental, social, and economic objectives. These plans also assume the responsibility of thinking through alternatives—what is known as scenario planning—to generate a more robust understanding of the trade-offs being chosen. Under the Urban Solidarity and Renewal Law, France also requires a territorial coherence scheme (SCoT), a local planning document used by the central government to incorporate land use, housing, transport, and commerce into a single sustainable urban planning design to prevent sprawl. Though the scheme was established in 2000, it continues to be updated to work in tandem with local master plans. Each SCoT balances concerns about urban renewal, mixed-use real estate development, and preservation of the environment through land-use, transport, and construction decisions. Additional indicators such as energy efficiency; biodiversity and ecosystem conservation; reduction of greenhouse gas emissions; and balance of spatial distribution of shops, services, and residences are integrated through local sustainable development under a SCoT. Operating under the guidelines of a SCoT, Lyon, a French city of approximately 720,000, constructed a local vision called a “city of short distances” to balance economic and population growth, environmental protection, and social equity through land-use and transport planning. The principle thrust of Lyon’s plan was to create multiple city centers containing commercial facilities, education, sports, services, and residences within walking and cycling distances of each other, with public transportation acting as a main pillar to enhance energy-efficient travel between neighborhoods.33 Such a plan prioritizes equal access to basic services and recreational activities for all Lyon residents and meets environmental goals as well. Successful construction and management of an urban transport project relies on the ownership local authorities assume over their urban transport systems. When confronted with limited proprietorship, local agencies hold themselves less accountable for the efficient and effective implementation of the project, leading to lackluster performance. This can dampen the progress that is made on developing and implementing more than just the project at hand. It can also set a precedent for suboptimal local involvement in future projects. This need is intensified when trying to institute sustainability as part of the outcomes desired. Successful planning requires a mix of local and national financial support. The planning process should receive partial funding from national allocations so plans are achieved and executed but also include local contributions to help foster a sense of local ownership. In France, for instance, local PDU plans for transportation development are partially funded by national allocations and local revenues. To ensure that funding is easily accessible and managed by the local authority, the national government could devolve project funding directly to an entity in the metropolitan area, whether that is in the form of a city agency, a metropolitan organization, or a state government. The state of California allocates 75 percent of its capital transportation funds to its metropolitan planning organizations (MPOs). The authority to control funding provides MPOs with resources to connect regional planning with investment decisions and encourages interdepartmental coordination. Giving local planners authority over their budgets requires clear guidelines on the use of the funds and clear expectations on outcomes, which in turn helps to build capacity by forcing them to make decisions and act. Local capacity is highly dependent on the knowledge and motivation of staff on the ground. Setting standards, exchanging experiences, and knowledge sharing are often-overlooked means of building local capacity. These practices not only encourage cooperation regionally but also can deepen transnational relationships. Likewise, local capacity can be boosted from the top through the development of design and engineering standards. Such standards communicate a framework of the physical system so that all involved stakeholders, officials, and staff can develop a common understanding. Such standards can be quickly institutionalized. The New York City Department of Transportation developed a street design manual, vetted by the Office of Management and Budget and New York City lawyers, that is now standard for surface transportation capital projects that are nontransit. Not only did the street design manual enable its in-house road crews and engineering consultants to understand street design and engineering that suited the context of New York City, it also allowed the city to streamline its approval process for such street improvements. The manual paved the way for a number of sustainable transportation improvements, such as physically protected bicycle lanes and safer pedestrian waiting areas at intersections. Standards for innovative urban transportation projects such as the Institute for Transportation and Development Policy’s Bus Rapid Transit Standard and the National Association of City Transportation Officials Urban Bikeway Design Guide could help national and local officials get on the same page in terms of their understandings of the urban context for sustainable transportation by providing a single source of proven, best-practice design guidelines. Like professional exchanges across nations, nongovernmental, nonpartisan institutions for the research and development of transportation strategies and project designs can bypass politics surrounding local transportation projects. For example, the nonprofit sector stepped in to assist the Mexico City government in creating a travel survey when the initial design of the survey proved inadequate.40 Such institutions can be housed in academic establishments, where the institutes could be a consortium of university and external experts and practitioners. Well-respected, federally funded research institutions include the United Kingdom’s Transport Research Laboratory, the International Transport Forum at the Organization for Economic Cooperation and Development (OECD), and the Transportation Research Board funded by the National Academy of Sciences in the United States. In addition, national governments and nongovernmental institutions can strengthen domestic local capacity for planning, operational effectiveness, and financial management through technical assistance programs. The China Sustainable Energy Program’s Transportation Program is a successful example of central government partnering with civil society to provide support to localities pursuing national transport goals. A nonprofit organization sponsored by the National Development and Reform Commission,41 the program assists local Chinese agencies, experts, and entrepreneurs with development and regional implementation, while the successes and failures of its activities inform the further evolution of national mobility policy. The Senior Policy Advisory Council and the Dialogue Partners of the China Sustainable Energy Program, both of which collectively include several ministry-level officials and directors, provide strategic input and guidance for regional policy and developments directly from the national government.42 In France, the federal government augments the capacity of local authorities to prepare Urban Transport Plans by providing its cities with specific, technical requirements based on long-term national goals, such as improving safety across all modes, the development and expansion of public transport networks to include walking and cycling, the reorganization of parking, and the reduction of negative impacts of all transportation on the environment. National policymakers often cite their need for local public participation, but their reasons for recognizing the need may be rooted in reducing risk, not expanding civic engagement. Because changes to the built environment in many cities are associated with disruption—or, worse, eradication—of daily routines or ways of life, engaging the public to inform them of the intention, purpose, and phases of projects is important. Stories, such as the one from New Delhi in which there were riots on the street when a lane of traffic was taken for a bus rapid transit system, are common across the world.43 Creating space for public input can ameliorate tension or even spur public officials to take action more quickly because they are less likely to confront public dissatisfaction. Because changes to the built environment in many cities are associated with disruption of daily routines or ways of life, engaging the public to inform them of the intention, purpose, and phases of projects is important. In its most valuable form, public participation can provide detailed knowledge that only locals would be able to offer and can even inform how project phases are developed. To ease the knot of traffic at Grand Army Plaza at the center of Brooklyn, the New York City Department of Transportation utilized multiple levels of public input collected in creative ways, from a multi-stakeholder community coalition to an international design competition. It then phased in street-design improvements over a few years to soften the impact of the changes. During the project process, the agency collected data on the changes along the way to document the benefits of the improvements in traffic circulation as well as pedestrian and cyclist safety.47 Encouraging the inclusion of public participation in project proposals submitted for national funding helps encourage transparency and civic engagement. Creating space for public input can ameliorate tension or even spur public officials to take action more quickly because they are less likely to confront public dissatisfaction. With the advent of easy-to-use technology tools for planning, local governments have more opportunities today to engage the public meaningfully. Federal mandates can help encourage them to take advantage of these new options for public participation. When Nicole Freeman was appointed bicycle director for the city of Boston and tasked with updating the city’s bicycle master plan, she crowdsourced cyclists’ desired paths. Using Google Maps, Boston cyclists noted their routes on a shared map. The collective set of tracks defined popular routes and gave the city a solid impression of where bicycle infrastructure was needed. Those who select local transport projects in developing countries like Brazil and China, moreover, view metro systems as a mark of modernization and thus seek to build rail over bus infrastructure in spite of rail’s high cost and limited flexibility. This bias is further amplified by lobbying from local private contractors that benefit from more expensive rail projects, according to transport ministry officials from a cross section of countries.51 The status associated with owning a car cannot be ignored either. What can be funded determines what gets built. It is therefore critical that national policies for sustainable urban transport be directly tied to parallel funding and financing structures. New transport systems require both up-front, onetime capital for construction and ongoing funds for operations and maintenance. All told, hundreds of trillions of dollars will be dedicated to building the urban environments required to accommodate increasing numbers of city dwellers, and a strong national role is needed to help provide, enable, and guide this massive investment. National governments, however, are not the only actors providing financial support to cities in response to this great transition—regional, local, and private contributions from vested commercial interests play a vital role in supporting the development of sustainable urban transport. National financial-assistance programs must thus effectively manage many channels of potential funding and financing investments to ensure both fiscal soundness and the achievement of broad policy goals. Beyond fulfilling the national vision, national governments can use funding and financing mechanisms to empower localities to take ownership of and, in turn, responsibility for their mobility projects. It is important to note the distinction between funding, which requires revenue generation of some kind, usually through a tax or fee, and financing, which is the creation of a financial vehicle that promises private investors a return on investment. Financing strategies are primarily used to fill a funding gap for large infrastructure projects. Some financing strategies are better when applied to capital costs, while others are better for operational costs. It is common for transportation authorities to mix financing strategies depending on project goals and funding gaps. By strengthening the connection between specific funding mechanisms and project types, national governments can guarantee that those who stand to benefit from the infrastructure help fund the project in an amount that is relative to the benefits they will receive. Thus, the national contribution should, in principle, parallel national goals and objectives, while regional and local contributions are aligned with benefits of more regional and local significance. Private beneficiaries—especially those who own or control property that will benefit from an urban transport project—should also contribute a proportion of the increased value received to underwrite the project itself. Some federal resources are allocated by formula or discretion to a state, province, or regional authority. These authorities then have the choice of devolving a portion of the funding to cities to advance national or regional aims. Though sometimes cooperative, these intermediary governmental bodies can also block local efforts to raise funds for achieving local sustainable transport objectives by refusing to provide the authority needed to implement the program or project. For example, when New York City attempted to enact congestion pricing to manage travel demand in the central business district during peak hours in 2007, the measure passed the city council but failed in the New York state legislature. This not only limited the city’s options for curbing vehicle traffic but also blocked federal funding to the city. Going forward, most cities facing rapid population growth will need to diversify their transportation funding streams. Long-term system-development projects as well as ongoing system maintenance and operational costs necessitate diverse, systemic funding and financing streams. However, many municipalities are prevented by law from enacting excise fees or other pricing schemes for the use of local transportation systems absent permission from intermediary governmental bodies. National policy can help to ease these provincial-local tensions by rewarding projects that have outside funding sources, thus incentivizing cooperation. Corruption is often associated with bribery or the misallocation and divergence of funds from public projects to private and political party purses. The media have highlighted a handful of accounts of such misallocations in transportation projects. But in the case of Brazil, the specter of corruption has been just as detrimental as dishonesty itself. Having entered into force in April 2012, Brazil’s urban transport policy is very new and has yet to be implemented. But it has already been dwarfed by the Growth Acceleration Program (PAC), which funds similar projects to support the forthcoming 2014 World Cup and 2016 Summer Olympic Games. The administrator of PAC stepped down in July 2012 amid allegations of bribery (Transport Minister Alfredo Nascimento had bribed contractors bidding for ministry business and channeled the funds to his own political party, Partido da Republica).56 As of yet, only 14 percent of PAC funds have been distributed. Some countries commit specific excise taxes to specific national infrastructure projects. The funds are held in “lockbox” transportation funds that stipulate that revenues directed to them be dedicated to transportation. The intention is to provide a predictable source of revenue over multiple years that can be used to fund transportation infrastructure. Such revenue is generated primarily from fuel taxes and marginally by other fees on transportation-related goods and services. Thus, a lockbox policy connects the amount of private travel to infrastructure building. It is one way of ensuring dedicated funding. Such policies are rare globally. Most cities facing rapid population growth will need to diversify their transportation funding streams. Dedicating funds secured through the taxation of a given mode of travel, such as a gas tax, can lead to favoring the construction of infrastructure for that specific mode and risk overlooking other modes that may not generate similar revenues. In the United States, the wide application of the gas tax at federal, state, and even sometimes urban levels has contributed to the perception of the gas tax as a “user fee” in which the major source of funding for transportation is private vehicle drivers. A common yet entrenched misperception is thus that the majority of funds should be allocated to benefit those drivers and road construction. This overlooks the social, environmental, and economic external costs that result from private car use, and it has led to an overbuilding of highway infrastructure at the expense of more balanced transportation systems, especially in urban areas. To overcome this challenge, it is important to have an understanding of the entire system and to provide a national purpose with a clear intent in the application of funds. Over the last few decades, transportation systems have become more complex. They now require increased revenue for maintenance and improvements. Raising the gas tax would appear to be common sense in most countries, but increasing it can be difficult for political reasons. The countries that have successfully raised the gas tax to generate funds for reconstruction, or to manage private car use, often succeed by using the new revenue to provide other high-quality transportation options, such as easy-to-use bus rapid transit systems that are seamlessly integrated with rail and bicycle networks. Countries around the world tax transport fuel to generate revenue for general government spending and transportation infrastructure improvements or to promote ecological sustainability. Fuel taxes primarily, though not always, target gasoline and can come in the form of an excise or duty tax at the point of import, a value-added tax such as a sales tax, a carbon tax based on the carbon content, or a user fee determined by the level of use. Hong Kong, for example, imposes a $6.82 per liter tax on leaded petrol, a $6.08 per liter tax on unleaded petrol, and a $2.89 per liter tax on light diesel oil to generate government revenue.58 In Norway, motorists are charged with two taxes, a road-use tax and a CO2 tax. The road-use tax, at $0.83 per liter of sulfur-free petroleum, is charged for road maintenance. The CO2 tax, at $132.91 for 20 grams of CO2 per kilometer over the first 115 grams per kilometer (increasing incrementally), is meant to address the air pollution and carbon emissions that result from vehicle use.59 Imposing high taxes on fossil fuels is one method of reducing personal motorized travel and incentivizing low-carbon fuel alternatives such as natural gas, biodiesel, or electric battery automobiles. In some cases, it also incentivizes travelers to choose public transit or biking and walking. In other countries, however, taxes on fuel are highly politicized and remain low or nonexistent at the insistence of the citizenry. The United States, for example, imposes a federal excise tax on gasoline at $0.18 per gallon and $0.24 per gallon for diesel fuel. The majority of revenue from this tax is deposited into the Highway Account, which is used for road construction and maintenance. Approximately 11–15 percent goes to the Mass Transit Account to support public transit and other modes of transport.60 The tax, however, has not been raised since 1993 due to political opposition and has significantly affected the funds available to improve and construct new transportation projects. In an attempt to raise additional revenue, states on average add $0.30 to gasoline and diesel in local taxes.61 Higher fuel taxes in the United States at the federal level could encourage consumers to buy efficient cars, drive less, or carpool. In June 2012, Brazil cut its fuel tax, known as the CIDE tax, to zero as a means of keeping gas prices stable in the face of rising inflation.62 As a large country dependent on road networks for the effective transportation of goods, particularly food, the Brazilian government is forced to look to other revenue streams for its transport budget. The national government’s role includes helping to define the priorities for infrastructure. It can do that through the allocation of funds, which can be determined by a formula, competitive grants, or a combination of both. Higher fuel taxes in the United States at the federal level could encourage consumers to buy efficient cars, drive less, or carpool. Removing some of the emphasis on formula grants and balancing them with more competitive grants would help guide local project decisions and allow for better oversight. Competitive grants or flexible funding might be better suited for addressing capital-intensive system expansion, integration, or other improvements. U.S. states applied $53 billion in flexible funding from 2007 to 2011 to transportation projects with the most need regardless of mode. How transportation revenues are generated and allocated nationally includes which funding structures are created to disburse them, to which institutions they are entrusted, and which processes are established to assure that they are in fact dedicated to national sustainable development goals. These factors are crucial to the success of any national effort to promote the sustainable development of cities. Across the world, local authorities have increased their range of options to finance transport projects, and such diversity of financing options should be encouraged by national governments. The flexibility this provides is offset by these authorities’ limited ability to generate funding via excise taxes and other pricing schemes, which are generally perceived to be the responsibility of state, provincial, and national governments. To support local financing options, national governments can provide additional federal financial and technical assistance, such as the development of several versions of model contracts, to enhance the ability of cities to finance urban transport infrastructure. This principle can also be observed when employing the financing strategy of value capture, defined by a Brookings Institution study as the “family of public finance mechanisms that raise funds in proportion to the increase in land value associated with new or improved public infrastructure.”75 It is called “value capture” because the goal is to secure part of the value a given project adds to an area in order to finance the transportation project itself. Value capture is possible only when there is strong land-use management to guide decisions by the developers and transportation planners toward the most financially favorable combination of uses. Value capture is widely used in Hong Kong, where new metro stations are partially funded by the rent and sale values of property next to the stations. The key ingredient here is that the Metropolitan Transit Authority of Hong Kong, a regional body that operates as a private corporation contracted by the City of Hong Kong, has the authority to enter into contracts with private-sector entities to acquire land or take other needed steps to initiate and complete new projects. It thus has the incentive to enter profitable and fiscally sound agreements and is less likely to be influenced by shifting political preferences. Tax-increment financing is another popular value-capture strategy. It funds the project by borrowing against the future stream of additional tax revenue that the property is expected to generate. While the baseline property taxes before development still flow to the general fund of the locality, the increased tax revenue predicted to result from the higher property value is used to both finance construction debt incurred and leverage other development projects around transit stations. With tax-increment financing, local governments have the advantage of supporting comprehensive redevelopment plans around transit much earlier in the project-development process. In addition to local taxing schemes, cities have the option of building and maintaining their transport systems by augmenting the revenues that come from fares with other sources, such as advertising, travel tours, and commercial rents. Ten percent of Taipei’s Rapid Transit Corporation income comes from such revenue sources. Public funds from other sectors can also pay for transportation infrastructure or maintenance. Because it is difficult to formulate the cost of travel in a way that accurately captures the number of trips completed, one approach is to treat transportation like a utility or public service. This way, payment for use is more evenly distributed across the population of travelers. German cities’ transport-utility-fee approach is achieved through an internal funds transfer in cities where utilities such as gas, water, and electricity are provided through a single authority, City Public Services (Stadtwerke). To excise this kind of fee, German cities required authority from the national government. The state of Oregon in the United States uses a transportation utility fee to pay for the maintenance of transportation systems in twelve communities throughout the state. The city of Mission, Kansas, excises a transportation utility fee of $72 per year on single-family homes to finance city roads. All these financing schemes depend significantly on one key factor—the clarity and reliability of the land-tenure or property-rights system, which is of particular concern in emerging economies. The issue remains topical even in the United States, where a land-value tax to fund city-wide infrastructure, modeled by Pittsburgh, is prevented from being used by the majority of state constitutions. Absent strong land-tenure laws clarifying who can own and develop land, there are few means to leverage its inherent value to generate a revenue stream for public funding of urban infrastructure. This is a significant structural challenge, one that cannot be tackled with policy mechanisms that are directly related to sustainable urban transport. However, national governments can reevaluate such authorities for specific provinces, special economic development zones, or even cities to expand local authority. Public-private partnerships (PPPs) in both the construction and operation of urban transport systems are an increasing presence in infrastructure projects. Current evaluations, which are based on road construction projects and not urban transport systems, suggest that a strong government role—be it at the municipal or national level—in these partnerships is necessary to retain the most benefits for the public. The potential benefits of PPPs for urban transport projects are diverse. They include efficiency gains in project implementation, the ability to share project risk with private investors, and the ability to complete projects more quickly. Furthermore, there is the potential of greater market efficiencies through PPPs. Businesses in the private sector, such as construction companies or developers, are inherently motivated to help check rising construction and capital costs because they are risking their own capital. Yet, a recent survey on PPPs in the transport sector conducted by the International Transport Forum suggests that caution is necessary. While PPPs are now an acceptable part of the funding portfolio, their record in delivering projects on time and on budget is mixed.82 And public-sector regulations that require certain performance outcomes may be deemed more cumbersome by private investors because of the additional complexity. This raises transaction costs in the form of more complicated procurement, negotiation, monitoring, and enforcement (or evaluation) processes. One notable case study involves the London Underground, where total transaction costs were estimated at nearly $700 million. The cost for the bidders to submit and participate in the process alone was over $420 million. The government justified the amount by estimating that this only constituted 2.8 percent of the net present value of the entire project,83 but the high transaction costs are hard to overlook. Of particular note, many multilateral regional development banks share the reluctance of private investors to fund urban transportation policies due to the risks associated with implementing such projects. Sometimes risks stem from inadequate governance, such as with the World Bank–funded Lagos Urban Transport Project in Nigeria. There, resettlement issues, individuals championing the project for political reasons, the process of ensuring stakeholder buy-in, and unclear ownership of road networks were among the challenges preventing the construction of a bus rapid transit project. Such issues were held against the city when funding for future urban transport projects in Lagos came up for consideration. Future reliance on PPPs will increase as local governments face ongoing funding shortfalls. Anticipating this expanded private role in the operation of public services, the OECD recently published recommendations for public governance of public-private partnerships.86 In particular, the OECD recommends grounding the selection of PPPs through an analysis of value for money or “the optimal combination of quality, features, and price, calculated over the whole of the project’s life.”87 Such a calculation can be developed as part of the institutional framework of the national government’s evaluation process. The more transparency, the better—firms will not understand the rules unless governments make them available. New multilateral partnerships supporting PPPs will proliferate regardless of these ongoing challenges. In 2012, a consortium of regional development banks announced their desire to combine their efforts on urban transport projects and create a fund of $175 billion over ten years for sustainable transport projects.88 The partnership, led by the Asian Development Bank along with other NGOs, would pivot transportation funding toward a potentially sustainable path. Eligibility requirements were being developed at the time of this writing, and early reports suggest that national governments equipped to conduct project evaluations will be given funding preference. A bottom-up approach is necessary to connect execution to broad goals. Local governments are rushing to keep up with new demands in the face of the urban population’s immense growth, the general lack of municipal funding, and the newness of urban infrastructure in many of the world’s cities. In spite of the local nature of managing projects, national policy still has a strong role in supporting local efforts for project development, selection, and evaluation. It plays a critical part in guiding coordination among the broad goals, the design of the project, and the funding and financing. This assistance is especially important given the interdependencies among policy mechanisms and local governments’ limited capacity. The process of choosing and designing specific projects seems very distant from the position of a national government. However, there are several policy mechanisms that national policymakers can employ to ensure that projects meet long-term sustainability goals and fit into broader plans. Starting with a strong national vision, establishing conditionality that is transparently connected to funding and financing strategies, and then empowering local authorities to carry out a project will allow national policy to remain active in the implementation of local development plans. Specific policy mechanisms can encourage greater integration of land use and transportation. They can have the greatest impact if they are applied during the planning process. A national benchmark for thoughtful land-use policy—such as one that limits the time needed to travel from home to work, school, or basic services to thirty minutes—could compel integrated planning. Instituting this sort of national threshold for commuting time could induce more compact development that would support more efficient transportation systems. Compact development encourages public transit ridership and increases the share of biking and walking travel compared with more sprawled development.89 In addition, compact development patterns and higher density decrease transport-related energy consumption.90 Including a land-use benchmark in transport policy would also ease the creation of public right-of-ways, which is the use of land for public transit projects that would facilitate use by transit riders, and public spaces for open movement. Starting with a strong national vision, establishing conditionality that is transparently connected to funding and financing strategies, and then empowering local authorities to carry out a project will allow national policy to remain active in the implementation of local development plans. National policy can also require that project proposals apportion enough space for different modes of transportation. One strategy, capacity preservation, limits the extent to which localities can increase road capacity for vehicles and mandates a certain amount of capacity for nonmotorized modes. It thus counteracts the instinct to simply supply additional road capacity, which can reduce the number of trips by car. For large countries with relatively more flexible land policies, such as Brazil, access management—or ensuring that different transport modes share the street—is useful. This differs from capacity preservation in that it measures the number of vehicles that use a given thoroughfare over time, not the road space allocated for vehicles. Both strategies require close coordination with land use. Basing development on business profiles is another method of integrating land-use and transportation planning. Under this system, permits for a new business and its location are dependent on the combination of its mobility profile and the accessibility ratings. In the Netherlands, the national government requires businesses seeking new locations to find the most appropriate site given their mobility demands.91 This national-level policy compels a local practice that links land use to mobility demands. Dutch planners create mobility profiles for businesses that include an estimation of how much and what type of traffic the business will induce and also rate locations based on their level of accessibility. According to a World Bank report, locations that are “well served by public transport, . . . connected to nearby neighborhoods by bike paths, and . . . feature mixes of retail shops receive high accessibility marks.”92 Businesses or organizations that qualify for this A-level designation have high volumes of users at all times of the day and are used for diverse purposes. A university campus is one example. A national review process that combines cost-benefit analysis with a political preference or administrative prerogative is another useful method to marry national goals with local context. Cost-benefit analyses can be generated locally, and the criteria used should be based on the broad transport goals set forth by national policy in the areas of land-use coordination, environmental impacts and safety, among others.93 Projects that meet certain requirements could be exempt from lengthier approval processes to accelerate selection. Cost-benefit analysis provides consistency and transparency to transportation decisions and strategic program choices. Assessing user benefits such as access to jobs, goods, services, and cultural institutions; quality of service; and other indicators simultaneously measures a transport system’s efficiency and equity impacts. External costs include environmental impacts, health effects, safety, and congestion, among others, while wider economic impacts include effects on productivity, agglomeration, competition, and labor markets. Baseline data are a vital cornerstone for all stages of a project, from selection to refining and development to evaluation and subsequent improvement. National governments can play a strong role in setting the standards by which to guide data collection, a practice common in European countries. Local agencies could be responsible for data collection throughout the implementation of an urban transport system, but the national government should work closely with local partners in the metropolitan region through ongoing communication and coordination. The performance of the system should be evaluated in a way that takes the specific geography and modes of transport into account. By developing and disseminating detailed indicators on availability, frequency, density, comfort, safety, pollution, land-use integration, intelligent transport system facilities, and financial sustainability for use across all localities, the national government makes performance monitoring of entire transportation systems or single projects easier for local authorities. These indicators provide authorities with an underlying basis by which to gauge performance. This performance monitoring can be used for internal decisionmaking and for reporting to higher levels of government and external stakeholders. Proactively integrating co-benefits, or benefits that indirectly result from transportation projects, into the selection process of urban transport projects can bolster national sustainability goals from the outset of project development. The obvious co-benefits of sustainable transport systems are environmental, such as cleaner air quality or natural-resource conservation. Equity, and with it safety, can also be taken into consideration to enhance social benefits that are a part of meeting sustainability goals. The inclusion of these co-benefits facilitates transport selection and development. For an environmental impact benchmark, national policy should require the attainment of more healthful air quality, especially in urban areas. Local transportation plans could be required to demonstrate how they will contribute to the timely reduction of air pollution in metropolitan areas, as under U.S. transportation and clean-air laws, or have their federal funds withdrawn. In the European Union, jurisdictions are subject to fines if they fail to make adequate progress toward the attainment of healthful air quality (see the appendix). Transportation is one of the fastest-growing sectors of greenhouse gas emissions, while urban areas are the largest geographical emitters. Developing transport in a way that mitigates these emissions is possible and can make a tremendous impact on the earth’s climate. The United Nations Intergovernmental Panel on Climate Change claims the mitigation potential for the transport sector is about 1,600 to 2,550 metric tons of carbon dioxide for abatement costs of $100 per metric ton of carbon dioxide by 2030. This is only a partial assessment based on biofuel use and efficiency improvements in light-duty vehicles. It does not take into account additional mitigation potential from transforming urban transport systems. A national benchmark for greenhouse gas emissions can encourage low-carbon urban transportation projects. Many countries already have a national goal for greenhouse gas reduction. For example, Mexico set the goal of reducing greenhouse gas emissions by 30 percent from business-as-usual projections by 2020 and by 50 percent from 2000 levels by 2050.96 The national government could specify a percentage of the total national emission-reduction targets to be met through reductions in the transportation sector. This would incentivize low-carbon project approval and act as an unambiguous target on the way to the creation of sustainable transport systems. Energy-efficiency standards for public transit vehicles, the encouragement of nonmotorized modes, and the incentivizing of low-carbon or carbon-neutral fuels are all ways to decrease the emissions of local projects. Including public transit vehicles in national efficiency standards can incentivize a technology shift in manufacturing to improve fuel economy and consequently reduce greenhouse gas emissions. Equity is defined by the World Bank as the “fairness with which impacts (benefits and costs) are distributed.”99 Equity in transportation planning can be difficult to assess because it comes in many forms and has varied impacts. There are also numerous ways to measure these impacts and the users in question are inconsistently categorized. This often leads to the casual dismissal of considerations of equity during the project selection and development process because they appear to be immeasurable intangibles. But equity must be considered in selecting transport projects because the endorsement of equity in the national selection of transit projects can increase access to affordable and efficient transportation, potentially affecting peoples’ opportunities and quality of life. Transportation decisions have a major impact on people’s opportunities for mobility and accessibility. For most households, transport expenditures represent a large share of their budget, and a decision about price structure or nonmotorized mobility options can significantly affect a family’s financial burdens. Moreover, communities that do not have access to transit networks also lack access to economic opportunities and basic services, including emergency services, public services and utilities, healthcare, basic food and clothing, education and employment, and social and recreational activities. This exclusion hurts sectors of society that are already the most vulnerable—low-income households, physically or mentally disabled individuals, and those who are already socially isolated due to geographic or linguistic barriers. Under land-use coordination, equity should be a key component in decisionmaking so that negative impacts are equally distributed, or compensated for, across the metropolitan area. Equity measures could include metrics on the spatial distribution of low-income households throughout the city, people with physical disabilities, and those who are linguistically or geographically isolated. If included in the selection process, these units of measurement would then also be considered during development. The government could determine which plans would benefit the majority of transit users by gathering input from the community on context-specific needs and values. Selection processes and development guidelines set by the national government could include requirements on safety measures in infrastructure design; vehicle characteristics; and, when applicable, user behavior through engineering safer streets, enforcing traffic laws, and educating drivers, bikers, and pedestrians about sharing the road. This is the case in Sweden with its Vision Zero and the Netherlands with its Sustainable Safety Vision, which seeks to prevent the human errors that cause road crashes through proper planning, design, and improvement of roads. Both countries’ policies make design a hallmark of solutions. Specific to the Netherlands, roads are categorized to determine the level of interaction between vehicles and vulnerable road users, and that information then defines a set of standards for vehicle speeds, road markings, and other design elements. For example, on urban distributor roads where motorists, pedestrians, and cyclists have high levels of interaction, vehicle speed limits are reduced to just over 30 miles per hour and separate pedestrian and bicycle facilities are built. These standards, when applied consistently and predictably, elicit desirable traffic behavior that in turn reduces the possibility for human error and human fatalities. Nationally determined evaluation methodology needs to transcend conventional performance indicators to include equity, environmental impacts, and other less tangible measurements of success. Because the transportation system is a collection of interdependent parts, not just a set of projects, these nationally guided evaluations must capture comprehensive, system-wide outcomes. Instead of evaluating specific projects, national governments could consider evaluating regional or city transport programs as a way of reinforcing the concept that transportation is an inclusive, interdependent, multimodal network. Comprehensive performance evaluations are flexible and can be modified to reflect the values, needs, and conditions of a particular planning situation. They can include mode share, transport diversity, freight and commercial transport efficiency, street quality, and transit-service quality. An analysis of these factors allows local and national transport authorities to assess the effectiveness of walking, cycling, motor vehicles, rideshare, public transit, and telework infrastructure. Looking at indicators like land-use density and mix as well as streetscape quality helps ensure that land use is coordinated with transport planning to maximize benefits for local businesses and residents. Beyond technical evaluation, comprehensive performance indicators also assess the equity and environmental effects of a transport system to safeguard equal access, energy efficiency, low-carbon emissions, and the preservation of high-quality wildlife habitats. Similar to comprehensive evaluation methodology, indicators should be based on readily available, easily collectible data rather than relying on sophisticated and expensive technology for collection. Travel efficiency in a given country can be measured, for example, using vehicle fuel consumption, the average and variance of travel time, the speed of home-to-work trips, and departure and arrival reliability. The success of national goals on transport safety can be measured against benchmarks on annual road fatalities or crimes on public transit. In November 2003, the European Commission initiated a three-year project on benchmarking different aspects of 45 participating European cities’ transport systems. The initiative aimed to fast track the performance-improvement process by learning from others with superior performance, to provide consistent and comparable performance data, and to establish a forum for cities and organizations to share their experiences and exchange information. The initiative looked at these cities’ standards to explore and compare best-practice examples of urban transport delivery. It encouraged an incremental development process for any city that could start simply and develop further as more and better data became available. Themed working groups in behavioral and social issues in public transport, city logistics, cycling, demand management, public transport organization and policy, and urban transport for disabled people researched specific topics and developed key indicators to be used across all 45 participating cities. The European Commission ensured the transparency of this process by making the publications, events, and online interactive benchmarking tools publically available. The initiative encompasses as many stakeholders as possible, including participants from urban transport operators, user groups, local authorities, municipalities, and the private sector. The European Commission was able to compare and improve mobility networks of cities that are socially and geographically varied by developing a comprehensive set of evaluation benchmarks and key indicators. This central evaluation framework fostered the exchange of best practices in urban transport for cities facing similar challenges. Programs like the night buses for younger people in Bietigheim-Bissingen, Germany, cycling priority measures and greenways in Copenhagen, Denmark, and the Stillorgan Quality Bus Corridor in Dublin, Ireland, were shared and successfully replicated through the Urban Transport Benchmarking Initiative. Thus, through the use of benchmarks, the European Commission was able to not only provide a transparent evaluation process for a diverse set of urban areas but also to establish a knowledge network that facilitated the successful implementation of urban mobility solutions through the exchange of best practices. Performance-based contracts provide another a way to tie funds to performance and increase the likelihood of effective and timely project development while decreasing cost overruns. Well-defined contracts with the private sector through PPPs can incentivize effective delivery, good operations, competition, and realistic risk allocation, all while ensuring that the project meets sustainability goals laid out by the national government. National policy can encourage the private sector to participate in infrastructure investments by mandating improved risk planning for projects as a prerequisite for entering into a contract. And risk assessments are usually included in performance-based contracts and ensure that controls for mitigation are in place before a project is implemented. National policy could provide a broad guide to help a locality conduct its risk assessment. This approach has worked at the state level. The state of Washington required that all state agencies base new contracts on performance through an executive order signed in 2010 after it found that performance-based contracts significantly improved contractors’ results. Seventy-six percent of contractors on 1,000 of Washington’s DOT projects finished early or found a cheaper way to deliver the project from 2003 to 2010.105 Conversely, Connecticut’s DOT projects did not use performance-based contracting, and only 37 percent of the projects were executed on schedule between 2001 and 2010, with 74 percent of all projects running over budget. On average, only 53 percent of the projects pursued by state DOTs in the United States are finished on time.106 Though state-to-state comparisons will not be parallel because of different project funding procedures, on aggregate, performance-based contracts with risk assessments not only helped the Washington DOT complete projects but also provided a foundation for better baseline data collection and evaluation by tying payment to the achievement of desired results. Similarly, the city of Guangzhou in China negotiated a performance-based contract for the operation of its bus rapid transit system that could serve as a model for national policy. The project involved contracting multiple bus-operating companies to provide service in an integrated management system, the first contract of its kind in China. Each bus operator was paid a percentage of total passenger revenue. The revenue is based on the total distance covered by buses, with the BRT control center specifying the frequency of each route at a monthly meeting between regulators and operators. The payment amount is then adjusted again based on several performance factors, including maintenance of the stipulated frequency and operational plan, passenger complaints, punctuality, accidents, breakdowns in the BRT corridor, and adherence to tasks given by the government. This process encourages the optimization of system performance. Localities could determine such detailed indicators once a performance contract is mandated nationally. Another common approach to guiding project performance is to fiscally constrain master plans. Federal governments can condition federal funding on the identification of specific, confirmed funding sources for all projects and initiatives listed in a local transportation plan and on the reasonable availability of funding for all projects in a long-term mobility plan. The United States, for instance, requires state departments of transportation to identify all sources of funding for transportation planning and programming as well as a timeline of their availability. Revenue streams for operations and maintenance of existing transportation infrastructure are compulsory, as is funding for capital and operations of new projects. The U.S. example is good in concept, but as the shortfall in transportation funding has increased over the last decade, fiscally constrained master plans have struggled to produce positive outcomes. All state departments of transportation have received more in federal funds than they have contributed to the federal transportation fund since 2005.107 Without sufficient funding, state departments must choose between investing in new projects and maintaining existing infrastructure. New projects tend to take priority regardless of other needs because they burnish political reputations. This common dynamic resulted in deferred maintenance costs of $130 billion in 2010—more than double the annual federal transportation budget.108 This weakness could be resolved by assessing the performance of existing operations for possible improvements against the need for new capital projects and by making more federal funds available for such improvements. There is a growing belief that cities will flourish if left to develop on their own. That may have been possible when the population was much smaller, geographic reach was less extensive, the global economy was marked by city-states that acted as posts along trade routes, and the pace of change was slower. But such a belief is now misguided. With globalization and widespread advances in and adoption of technology for communication and construction, the complex challenges of mobility have increased across and within nations. Settlement and economic patterns are irrefutably urban across the globe, and they are growing. Now and well into the future, the development of sustainable urban transport systems will be imperative to ensure the livelihood and prosperity of billions of people worldwide. Although a city’s transportation system may have once been primarily a local concern, the rapid growth of the urban population, especially in emerging economies experiencing rapid industrialization, coupled with the high rate of motorization and the effects of climate change, mean that business as usual must change. Resources and partnerships that go beyond local authority are needed to solve shared challenges. An estimated $350 trillion of investment for all future urban infrastructure is on the line. Nations need to be involved in local infrastructure decisions, and new nation-city relationships are necessary to marshal resources and address challenges. At a minimum, national governments can set and enforce an expansive and long-term vision for what sustainability and urban mobility means. A vision is necessary. And it must include specific desired public outcomes, such as reducing carbon emissions, limiting natural land conversion, slowing car-ownership rates, and preventing air pollution. Without a clear vision, action is uncoordinated, is undirected, and comes with high opportunity costs. But a vision is not enough. Results from decisions and actions taken today regarding transportation systems will determine cities’ future paths. At the heart of national leadership for urban areas and infrastructure expansion is the need to keep a solid grip on desired public outcomes and to then empower those most suited to execute the plans to reach those goals. By granting regional authority, devolving power to subnational entities, establishing nongovernmental research centers, aligning process with funding and financing strategies, and establishing standards for project selection and evaluation, national governments can steer cities toward more sustainable urban mobility networks. The development of sustainable urban transport systems will be imperative to ensure the livelihood and prosperity of billions of people worldwide. This century of the city is likely to foster new relationships between the city and the nation as both seek to fulfill complementary goals. Instead of cities striking out on their own and nations relinquishing responsibility and leadership, new dynamics must be forged. Given the global scale of climate change, cooperation through on-the-ground projects may be the best way for nations and subnational entities to make progress and redefine what it means to engage globally on climate action. This study resulted from consultations with policymakers facing major inflection points in their nations’ transport policies. Policymakers from Brazil, India, Mexico, China, and the United States were consulted. These countries are among the largest and fastest-growing nations and unions in the world in terms of both population and economy. They have established national urban transport policies in an effort to ameliorate the challenges that accompany rapidly growing urban populations and motor vehicle ownership. This appendix provides some background on their current transportation policies and their common challenges. To facilitate comparison and contextualize national urban transport policies, table 1 summarizes key pieces of legislation for Brazil, China, India, Mexico, and the United States. Out of the five countries, many similarities are found within the policies of Brazil, India, and Mexico. Urban transport legislation in these countries was passed at similar points in recent history, reflecting commonalities in global and national economic conditions. These policies pool and integrate international and domestic funds for infrastructure projects. They also create a “single-stop” service center by establishing state-operated infrastructure or development bank. Their intent is to reduce redundancies and inefficiencies in implementation and reduce the amount of friction between cities and states or provinces. In addition to centralizing the transport program, Brazil, India, and Mexico recognize the importance of local governments by directly funding or financing urban transport projects. Brazil and Mexico do not require the state to act as an intermediary, though Indian cities, which already receive the majority of their funding from states, still require state approval for national funds. In all places, localities are expected to meet a certain set of conditions to be eligible for funding. 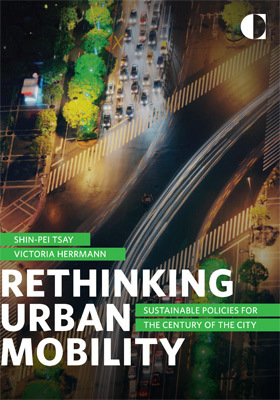 Further, policy language in each country is composed of thoughtful statements that require holistic, multimodal approaches to urban mobility and that recognize the need to prioritize the movement of people in dense city centers. Finally, legislation and funding requirements attempt to guide all phases of the project, from planning to delivery to evaluation, to increase the likelihood of delivering a successful project. But in spite of the policy foundation at the national level to deliver sustainable transportation, each country faces, for a variety of reasons, two primary disappointments. First, they experience a lag in disbursing funding or, worse, funds are squandered on projects that are either of poor quality or contribute little to sustainability. Second, all three countries grapple with little or slow implementation of projects. India has an urban development agenda through its Jawaharlal Nehru National Urban Renewal Mission program, a national urban investment program. The urban-transport-focused part of this program is called the National Urban Transport Policy. India reports difficulty with fund disbursement, and as of 2011, only 30 percent of transport-related funds had been disbursed.109 As a fragmented democracy fraught with many levels of bureaucracy, most accounts about the effectiveness of urban transport policy in India cite “lack of capacity” as the primary reason for the lag in disbursement. Key shortcomings could be weak institutional frameworks to oversee the administration of the policy, which could include organizational structure, departmental roles and responsibilities, and workflow for project selection and oversight. The primary cause cited for the lack of implementation is the lack of institutional capacity. More specifically, the slow pace of project development is attributed to time taken for national-level review and approval of project proposals, particularly at the national development bank; challenges in subnational coordination between states and cities; and the failure of all levels of government to achieve consensus on planning and implementing projects. According to some sources, there may be too few people to review projects at the national level, and reviewers may need more appropriate knowledge and training. U.S. regional and municipal governments receive federal transportation funds in three ways. Funds are provided directly to urban areas through federal formula grants. They are also provided indirectly through formula grants for use on state highways and bridges in urban areas. These funds can be transferred—otherwise known as “flexed”—to transit projects under some circumstances. Lastly, funds are provided through federal grants distributed by competition based on project alignment with national goals and objectives. There are also a few federal funding programs that are distributed by formula to states, which the states then distribute to local governments through competitive grants. These are mostly nonhighway bicycle and pedestrian, safety, and railroad station renovation projects called Alternative Transportation programs. The diversity of pathways to securing federal funding reflects regional differences and demographic needs as well as the perpetual tug-of-war between U.S. states and cities over control of federal transportation dollars. China stands out among this group as the only centrally planned state. Its cities have high levels of autonomy and flexibility in meeting national urban transport policy mandates established by national five-year plans, which lay out strategies and policies. The national ministries serve as a guiding hand rather than an enforcement or regulatory mechanism. China’s strength at the municipal level is bolstered by its cities’ authority to generate the majority of funding for local infrastructure projects from revenue produced by urban land concessions, rents, and acquisitions.112 But because the economy has slowed and national funds will eventually diminish while urban areas continue to grow, the Chinese government is bullish about private investment in public projects.113 Autonomy in urban governance and the Communist Party’s promotional structure have also bred a healthy competitive spirit among Chinese mayors, complementing the guiding hand of national policy. Mayors pay attention to best practices when they know their peers are doing the same. Yet, leaving the successful delivery of urban transport entirely up to the competitive nature of mayors may overlook policy friction at the national level, pitting policy objectives against one another. Mayors in China are appointed by the Central Communist Party. Advancement through the party and administration (for example, the provincial government) is determined by how fast mayors grow GDP. Short-term economic growth can be created by road construction and consequent land development. Transit projects, which have a higher economic return in the long run, take more time to plan, build, and operate. Car-ownership goals also sometimes conflict with urban transport goals. The Fluid Traffic Project launched nationally in 2001 was intended to support municipal efforts to alleviate congestion within 32 Chinese cities. The same policy, however, also promised that each household would eventually own a car,115 which would work against congestion alleviation in urban areas. Without national recognition of these divergent goals, they will reduce the municipal government’s ability to manage congestion and mitigate air pollution. 1 Booz & Co. and World Wildlife Fund, Reinventing the City: Three Prerequisites for Greening Urban Infrastructures, 2010, www.wwf.se/source.php/1285816/Reinventing%20the%20City_FINAL_WWF-rapport_2010.pdf. 3Richard Dobbs, Sven Smit, Jaana Remes, James Manyika, Charles Roxburgh, and Alejandra Restrepo, Urban World: Mapping the Economic Power of Cities, McKinsey Global Institute, March 2011, www.mckinsey.com/~/media/McKinsey/dotcom/Insights%20and%20pubs/MGI/Research/Urbanization/Urban%20world%20mapping%20economic%20power%20of%20cities/MGI_urban_world_mapping_economic_power_of_cities_full_report.ashx. 4 Government of India, Press Information Bureau, “India Stats: Million Plus Cities in India as per Census 2011,” October 31, 2011, http://pibmumbai.gov.in/scripts/detail.asp?releaseId=E2011IS3. 5 United Nations Department of Economic and Social Affairs, “World Urbanization Prospects,” 2011 Revision, http://esa.un.org/unpd/wup/Documentation/highlights.htm. 7Florian Bressand, Diana Farrell, Pedro Haas, Fabrice Morin, Scott Nyquist, Jaana Remes, Sebastian Roemer, Matt Rogers, Jaeson Rosenfeld, and Jonathan Woetzel, Curbing Global Energy-Demand Growth: The Energy Productivity Opportunity, McKinsey Global Institute, May 2007, www.mckinsey.com/insights/mgi/research/natural_resources/curbing_global_energy_demand_growth. 8Deborah Gordon and Yuhan Huang, “Driving Force: Energy and Climate Strategies for China’s Motorization,” Policy Outlook, Carnegie Endowment for International Peace, April 14, 2011, http://carnegieendowment.org/files/driving_force.pdf; Peter Norton, Fighting Traffic: The Dawn of the Motor Age in the American City (Boston: MIT Press, 2011). 9Catherine Lutz and Anne Lutz Fernandez, Carjacked: The Culture of the Automobile and Its Effect on Our Lives (New York: Palgrave Macmillan, 2010). 10International Energy Agency, Transport, Energy, and CO2 (Paris: OECD/IEA, 2009), www.iea.org/publications/freepublications/publication/transport2009.pdf. 11U.S. Department of Energy, Office of Energy Efficiency and Renewable Energy, Transportation Energy Data Book, 2012. The Department of Energy estimates a higher vehicle per capita than the World Bank because the DOE includes minivans and sports utility vehicles, which Americans drive as cars. Given the popularity of these vehicle types, it is possible that the World Bank figures underestimate car-ownership levels in developing countries. However, combining the two data sources is necessary in this instance because of the lack of data on car ownership. 12U.S. Environmental Protection Agency, “Overview of Greenhouse Gases,” www.epa.gov/climatechange/ghgemissions/gases/co2.html. 13 International Energy Agency, Transport, Energy, and CO2. 15Joyce Dargay, Dermot Gately, and Martin Sommer, “Vehicle Ownership and Income Growth, Worldwide: 1960–2030,” Energy Journal 28, no. 4 (2007): 20, www.econ.nyu.edu/dept/courses/gately/DGS_Vehicle%20Ownership_2007.pdf. 16For projections of car ownership in China and India, see Deborah Gordon and Dan Sperling, Two Billion Cars: Driving Toward Sustainability (New York: Oxford University Press, 2009). The projections in the book are based on 2005 figures; however, car-ownership levels have already exceeded the projections made in the book. For more information on current car ownership data, see the Wards Auto website, “World Vehicle Population Tops 1 Billion Units,” August 15, 2011, http://wardsauto.com/ar/world_vehicle_population_110815. 17Institute for Transportation and Development Policy, “Our Cities Ourselves: 10 Principles for Transport in Urban Life,” 2010, www.itdp.org/documents/2010-OurCitiesOurselves_Booklet.pdf. 18Ed Glaeser and Matthew Kahn, “The Greenness of Cities: Carbon Dioxide Emissions and Urban Development,” Working Paper 14238, National Bureau of Economic Research, August 2008. 19Deborah Gordon, “The Role of Transportation in Driving Climate Disruption,” Carnegie Paper, Carnegie Endowment for International Peace, December 2010. 20Felix Targas, “Project Selection and Development” session discussion, National Symposium on Urban Transport, Carnegie Endowment for International Peace, October 11–12, 2012. 21Jawaharlal Nehru National Urban Renewal Mission, http://jnnurm.nic.in. 23 “Overall Winner of the Award for Outstanding Innovation in Public Transport,” International Transport Forum, 2010, 24GLA could be an institutional model that Mexico City and the Distrito Federale could pursue with legislative action. 25Timothy D. Hau, “Transport for Urban Development in Hong Kong,” University College of London, 2003. 26 “Vision Zero Initiative,” Business Sweden, www.visionzeroinitiative.com. 27“Mobility and Transport: Road Safety,” European Commission, 2007, http://ec.europa.eu/transport/road_safety/specialist/knowledge/safetyratings/safety_ratings_in_use/other_safety_ratings_in_use_or_under_development.htm. 28David Wiles, “Sweden’s Road Safety Vision Catches On,” Swedish Institute, April 13, 2007, www.sweden.se/eng/Home/Society/Reading/Road-safety. 29The Energy Research Institute, “Review of Comprehensive Mobility Plans for Five Indian Cities,” April 11, 2012, www.teriin.org/index.php?option=com_ongoing&task=about_project&pcode=2010UD03. 30Compulsory for urban areas of more than 100,000 inhabitants. 31 Thomas Vidal, “Transport and Planning in France,” Ministère de l’Écologie, de l’Énergie, du Developpement durable et de la Mer, June 10–11, 2010, www.afd.fr/webdav/site/afd/shared/PORTAILS/SECTEURS/DEVELOPPEMENT_URBAIN/formesurbainesettransport/vidal.pdf. 32“Implementing Sustainable Urban Travel Policies: National Reviews,” European Conference of Ministers of Transport, OECD, 2003, 87, http://internationaltransportforum.org/pub/pdf/03UrbNatRev.pdf. 33 “Promote the City for All, Promote ‘Living Together,’” SCOT 2030 Agglomération Lyonnaise, 2013, http://translate.googleusercontent.com/translate_c?depth=1&ei=M6LIUMvgDs7O0QHv04CgAg&hl=en&prev=/search%3Fq%3DSchema%2BDe%2BCoherence%2BTerritoriale%26hl%3Den%26tbo%3Dd%26biw%3D1102%26bih%3D679&rurl=translate.google.com&sl=fr&twu=1&u=http://www.scot-agglolyon.fr/solidarite.php&usg=ALkJrhgco3tlFiLXKKWeX5uBYPV1uv_mcQ. 34Conversation with Colin Hughes, December 20, 2012. 35Conversation with Akshima Ghate, December 16, 2012. 36“Why SIBRT,” Associacion Latino-Americana de Sistemas Integrados y BRT, 2013, www.sibrtonline.org. 37 Divya Kottadiel, “BRT Knowledge Sharing in Asia, the Latin American Way,” The City Fix, September 4, 2012, 2012, http://thecityfix.com/blog/brt-knowledge-sharing-in-asia-the-latin-american-way. 38 “About Us,” The CIVITAS Initiative, European Union, 2013, www.civitas-initiative.org/index.php?id=4. 40“Facilitating Local Progress and Building Capacity,” session discussion, National Urban Transport Policy Symposium, Carnegie Endowment for International Peace, October 10–12, 2012. 41“Transportation,” China Sustainable Energy Program, 2008, www.efchina.org/FProgram.do?act=list&type=Programs&subType=2. 42“Advisors,” China Sustainable Energy Program, 2008, www.efchina.org/FPubInfo.do?act=list&abb=AboutUs&sabb=7. 43Vijai Kishore, “Bus Rapid Transit: The Indian Experience,” Transport Infrastructure, RITES Journal, July 2009. 44Todd Goldman and Elizabeth Deakin, “Regionalism Through Partnerships? Metropolitan Planning Since ISTEA,” Berkeley Planning Journal 14, no. 1 (2000). 45 “Developing Effective Place-Based Policies for FY 2011 Budget,” August 11, 2009, M-09-28, www.whitehouse.gov/sites/default/files/omb/assets/memoranda_fy2009/m09-28.pdf. 46Martin Fackler, “Splitting a Hip Neighborhood, in More Ways Than One,” New York Times, October 2, 2006, www.nytimes.com/2006/10/02/world/asia/02tokyo.html?ex=1317441600&en=514522cbd3566978&ei=5090&partner=rssuserland&emc=rss. 47 Michael M. Grynbaum, “A Simpler, Safer Grand Army Plaza (Brooklyn Edition),” New York Times, May 3, 2010, http://cityroom.blogs.nytimes.com/2010/05/03/a-simpler-safer-grand-army-plaza-brooklyn-edition. 48 “Findings from Peer Exchange on Performance-Based Transportation Funding,” Chicago Metropolitan Agency for Planning, February 28, 2013, www.cmap.illinois.gov/moving-forward/regional-mobility-in-detail/-/asset_publisher/Q4En/blog/findings-from-peer-exchange-on-performance-based-transportation-funding/276584?isMovingForward=1. 49“Effective Institutional Structures for Reaching Policy Goals,” session discussion, National Urban Transport Policy Symposium, Carnegie Endowment for International Peace, October 10–12, 2012. 50 Wenling Chen, “Analysis of Rail Transit Project Selection Bias With an Incentive Approach,” World Bank, June 9, 2006, www.google.com/url?sa=t&rct=j&q=&esrc=s&frm=1&source=web&cd=1&ved=0CC0QFjAA&url=http%3A%2F%2Fciteseerx.ist.psu.edu%2Fviewdoc%2Fdownload%3Fdoi%3D10.1.1.145.4818%26rep%3Drep1%26type%3Dpdf&ei=Vz62UKuZLaqoyAGEqoCgDg&usg=AFQjCNHbKG0yLJbAUdoMCrlrM-gcKkUYhQ. 51“Opportunities for Reform Roundtable” discussion, National Urban Transport Policy Symposium, Carnegie Endowment for International Peace, October 10–12, 2012. 52Angie Schmitt, “Explaining the Psychological Appeal of Rail Over Buses,” DC Streets blog, June 21, 2012, http://dc.streetsblog.org/2012/06/21/explaining-the-psychological-appeal-of-rail-over-buses. 53 Cycling Embassy of Denmark website, www.cycling-embassy.dk. 54 “The Dutch Bicycle Master Plan: Description and Evaluation in a Historical Context,” Ministry of Transport, Public Works and Water Management, March 1999, www.fietsberaad.nl/library/repository/bestanden/The%20Dutch%20Bicycle%20Master%20Plan%201999.pdf. 55 Ken Gwilliam, “Cities on the Move: A World Bank Urban Transport Strategy Review,” International Bank for Reconstruction and Development/World Bank, 2002, 135–52. 56 Sarah de Sainte Croix, “Passos Steps Up as New Transport Minister,” Rio Times, July 26, 2011, http://riotimesonline.com/brazil-news/rio-politics/passos-steps-up-as-new-transport-minister. 57 Mariana Barbosa, “Bringing Sport Events and Climate Together: Potential Interactions of the World Cup in Brazil and the National Climate Change Policy,” paper for Environmental Law Certificate, University of California at Berkeley, April 2012. 58 “Types and Duty Rates,” Customs and Excise Department, Government of the Hong Kong Special Administrative Region, February 23, 2011, www.customs.gov.hk/en/trade_facilitation/dutiable/types/index.html. 59 Minister of Finance Sigbjørn Johnsen, “National Budget 2011,” Royal Norwegian Ministry of Finance, October 2010, www.statsbudsjettet.no/Statsbudsjettet-2011/English/?pid=48921#hopp. 60 “Federal Highway Administration Motor Fuel Tax Compliance Outreach: Frequently Asked Questions,” U.S. Department of Transportation Federal Highway Administration, www.fhwa.dot.gov/motorfuel/faqs.htm#q1. 61 “Motor Fuel Taxes,” American Petroleum Institute, October 1, 2012, www.api.org/Oil-and-Natural-Gas-Overview/Industry-Economics/Fuel-Taxes.aspx. 62 Pedro Torres, e-mail correspondence, January 16, 2013. 63 Robert Bacon and Masami Kojima, “Phasing Out Subsidies: Recent Experiences With Fuel in Developing Countries,” Public Policy for the Private Sector no. 310, World Bank Group, August 2006, http://rru.worldbank.org/documents/publicpolicyjournal/310bacon_Kojima.pdf. 64Shomik Mehndiratta, Lead Transport Specialist, World Bank, presentation in Mexico City, November 2012. 65 U.S. General Accountability Office, “Highway Trust Fund: Nearly All States Received More Funding Than They Contributed in Highway Tax Since 2005,” June 2010. 66 U.S. General Accountability Office, “Surface Transportation: Restructured Federal Approach Needed for More Focused, Performance-Based, and Sustainable Programs,” March 2008. 67 Shomik Mehndiratta, Lead Transport Specialist, World Bank, presentation in Mexico City, November 2012. 68 Formulas should be updated, however. In the United States, states receive at least 95 percent of what they pay into the Highway Trust Fund based on center-line road mileage; VMT and gas consumption do not reflect performance. 69 Darren M. Scott and Mark W. Horner, “The Role of Urban Form in Shaping Access to Opportunities,” Journal of Transport and Land Use 1/2 (2008): 89–119. 70 Government of France, General Code of Collective Territories, Legislation, 2nd Part: The Municipality, Book II: Municipal Finances, Title III: Receipts, Chapter III: Taxes, royalties, or excise fee exceptions to general code, Section 8: Intended payments for urban transport, Articles L2333-64, www.legifrance.gouv.fr/affichCode.do?idSectionTA=LEGISCTA000006181011&cidTexte=LEGITEXT000006070633&dateTexte=vig. 71 International Association of Public Transport Operators, “Financing of Public Transport Operations,” April 2003. 72 Bankwatch, “Czech Transport Investments Going Nowhere Fast,” October 8, 2012. 73 Silvia Olsen, Knut Sandberg Eriksen, Nils Fearnley, and Frode Longve, “Funding Public Transport Norway,” Institute for Transport Economics, October 2011. 74 David M. Levinson and Emilia Istrate, “Access for Value: Financing Transportation Through Land Value Capture,” Paper, Brookings Institution, April 2011, www.brookings.edu/~/media/research/files/papers/2011/4/28-transportation-funding-levinson-istrate/0428_transportation_funding_levinson_istrate.pdf. 76 Donald Shoup, The High Cost of Free Parking (Chicago: APA Planners Press, 2011). 77 Wallace E. Oates and Robert M. Schwab, “The Impact of Urban Land Taxation: The Pittsburgh Experience,” National Tax Journal 50 (1997): 1–21, cited by Levinson and Istrate, “Access for Value,” 2011. 78 Colin Divall and Winstan Bond, eds., Suburbanizing the Masses: Public Transport and Urban Development in Historical Perspective (Aldershot: Ashgate Publishing, 2003). 80 Sam Adams and Michael Powell, “Portland Streetcar Development Oriented Transit,” Office of Transportation, Portland, Oregon, and Portland Streetcar, Inc., April 2008, www.portlandstreetcar.org/pdf/development_200804_report.pdf. 81 “Downtown Waterfront URA: Overview (1974 to Present),” Portland Development Commission, 2013, www.pdc.us/our-work/urban-renewal-areas/downtown-waterfront/overview.aspx. 82 See Carlos Ugarte, Gabriel Gutiererz, and Nick Phillips, “A Roadmap to Funding Infrastructure Development,” OECD International Transport Forum Discussion Paper 2012-09, September 2012; Jean Shaoul, Anne Stafford, and Pam Stapleton, “The Fantasy World of Private Finance for Transport via Public Private Partnerships,” OECD International Transport Forum Discussion Paper 2012-06, September 2012. 83 Louise Butcher, “London Underground After the PPP, 2007–Standard Note SN1746,” United Kingdom House of Commons Library, January 18, 2012. 84 Yuval Atsmon, Vinay Dixit, Max Magni, and Ian St-Maurice, “China’s New Pragmatic Consumers,” McKinsey and Company, October 2010, http://mkqpreview1.qdweb.net/Public_Sector/Private-investment_opportunities_for_public_transport_1987. 86 OECD, “Recommendation of the Council on Principles for Public Governance of Public-Private Partnerships,” 2012. 88 “Rio+20: Development Banks to Invest $175 Billion,” UN News Center, June 20, 2012, www.un.org/apps/news/story.asp?NewsID=42287#.UMY8QRyLFr8. 89 Alain Bertaud, “The Spatial Organization of Cities: Deliberate Outcome or Unforeseen Consequence,” May 2004, http://alain-bertaud.com/images/AB_The_spatial_organization_of_cities_Version_3.pdf. 90 Municipal Research and Services Center of Washington, “Transportation Efficient Land Use: Planning and Land Use Strategies That Reduce the Need to Drive,” November 2012, www.mrsc.org/subjects/transpo/efficientlanduse.aspx. 91 Robert Cervero, “Integration of Urban Transport and Urban Planning,” World Bank, 2009, http://info.worldbank.org/etools/docs/library/115504/toronto99/assets/t-cervero-mod09.pdf. 93 “Improving the Practice of Cost Benefit Analysis in Transport Discussion Paper No. 2011-1: Summary and Conclusions of the Roundtable on Improving the Practice of Cost-Benefit Analysis in Transport,” International Transport Forum, OECD, October 21–22, 2010, www.internationaltransportforum.org/jtrc/DiscussionPapers/DP201101.pdf. 94 Joseph Jenkins, Michael Colella, and Fred Salvucchi, “Agglomeration Benefits and Transportation: Theory, Measurement, and Application to Crossrail,” Transportation Research Board, 2010. 95 International Energy Agency, World Energy Outlook 2012. 96 Erik Vancer, “Mexico Passes Climate-Change Law,” Nature: International Weekly Journal of Science, April 23, 2012, www.nature.com/news/mexico-passes-climate-change-law-1.10496#. 97 “Corporate Average Fuel Economy (CAFE),” National Highway Traffic Safety Administration, 2013, www.nhtsa.gov/fuel-economy. 98 “Federal Vehicle Standards,” Center for Climate and Energy Solutions, 2012, www.c2es.org/federal/executive/vehicle-standards. 99 Todd Litman, “Evaluating Transportation Equity: Guidance for Incorporating Distributional Impacts in Transportation Planning,” Victoria Transport Policy Institute, March 8, 2006, www4.worldbank.org/afr/ssatp/Resources/HTML/Gender-RG/Source%20%20documents%5CTool%20Kits%20&%20Guides%5CMonitoring%20and%20Evaluation/TLM&E7%20Evaluating%20Transport%20Equity%2006.pdf. 100 Global Health Observatory, Distribution of Road Traffic Deaths by Type of Road User, World Health Organization, 2010, www.who.int/gho/road_safety/mortality/traffic_deaths_distribution_text/en/index.html. 101 World Health Organization, World Report on Road Traffic Injury Prevention, 2004, www.who.int/violence_injury_prevention/publications/road_traffic/world_report/en/index.html. 102 European Commission, “Transport Measures and Policies to Promote Emission Reductions: South Africa,” 2013, www.sutp.org/T-MAPPER/downloads/southafrica. 103 Sabina Mahapa, “Integrating Gender Into World Bank Financed Transport Programs—Case Study: South Africa, Shova Kalula,” World Bank, September 2003, http://www4.worldbank.org/afr/ssatp/Resources/HTML/Gender-RG/Source%20%20documents/case%20studies/ICNET%20Case%20Studies%20for%20WB/CSICN%2011%20SouthAfrica%20Case.pdf. 104 “The Urban Transport Benchmarking Initiative,” European Commission, 2013, www.transportbenchmarks.info. 105 Office of the Governor, State of Washington, Executive Order 10-07 Performance-Based Contracting, 2007, www.governor.wa.gov/office/execorders/eoarchive/eo_10-07.pdf. 106 Legislative Program Review and Investigation Committee, Connecticut General Assembly, “Department of Transportation Project Delivery Process: RBA Pilot Project Study 2010,” December 2010, www.cga.ct.gov/pri/docs/2010/1216/RBA_2010_%20COMMITTEE_Approved_Findings_&_Recommendations_DOT_Project_Delivery.PDF. 107 U.S. General Accountability Office, “Nearly All States Received More Funding Than They Contributed in Highway Taxes Since 2005,” June 30, 2010, www.gao.gov/assets/310/306443.pdf. 108 Economic Development Research Group, Inc., “Failure to Act: The Economic Impact of Current Investment Trends in Surface Transportation Infrastructure,” American Society of Civil Engineers, 2011, www.asce.org/uploadedFiles/Infrastructure/Report_Card/ASCE-FailureToActFinal.pdf. 109 Dario Hidalgo, Madhav Pai, Aileen Carrigan, Amit Bhatt, and Benjamin Owen, “National Investment in Urban Transport—Towards People’s Cities Through Land Use and Transport Integration,” Shakti Sustainable Energy Foundation, July 2012. 111 “A Bill to Reauthorize Federal-Aid Highway and Highway Safety Construction Programs, and for Other Purposes,” S. 1813: MAP-21, November 7, 2011, www.govtrack.us/congress/bills/112/s1813. 112 Eventually though, municipalities will run out of land assets to generate revenue in this way, but the national government will likely fill the funding gap. The central government already provides additional funds when there are funding gaps. 113 Haixiao Pan, “Implementing Sustainable Urban Travel Policies in China,” International Transport Forum Discussion Paper 2011–12, May 2011. 114 Interviews with Chinese mayors at the United Nations Conference for Sustainable Development, Rio de Janeiro, June 15, 2012. 115 Jiangping Zhou, “China’s Urban Transportation Since 1978: Challenge, Publication, and Policy,” Projections 5, MIT Journal of Planning (2006).